Another day, another study about the often unbearable costs of childcare in America. Full-time care in a center for children age 4 or younger costs more than average in-state college tuition, while an in-home caregiver costs 53 percent of U.S. median household income.... The study used proprietary data from the online marketplace Care.com Inc., a survey of 15,000 households, and publicly available figures from the Census Bureau and Child Care Aware of America. Average national cost of full-time daycare, according to their findings: $9,589. Average national cost of in-state college tuition: $9,410. And of course there’s no guarantee that the runaway costs of higher education will have been gotten under control by the time your toddler graduates from high school, so it’s not like you can say, “Well, at least the financial worst is over.” We also know that providers are certainly not getting rich, here. The cost of an in-home caregiver, meanwhile, averaged out to $28,353 annually. Parents who just flat cannot afford these numbers and need to go to work to get money to live have to rely on informal or “grey market” options, the report notes. The more-than-college rule might not hold depending on where you live. 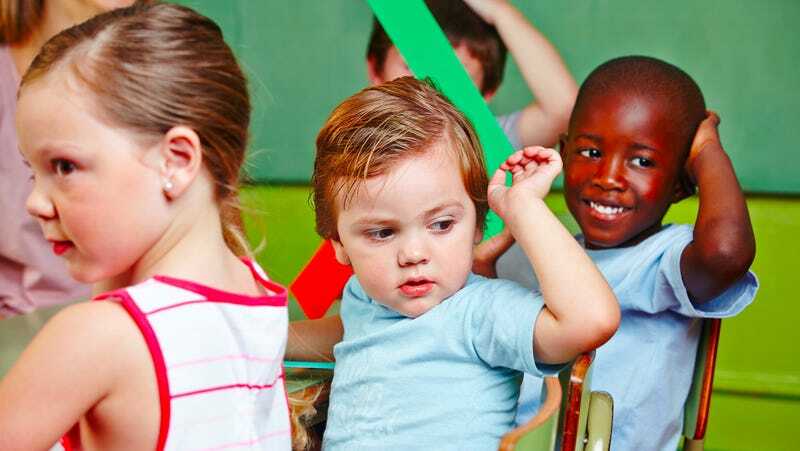 New America compared national averages, whereas a previous study that went on a state-by-state basis found that daycare’s pricier in a mere 23 states. Personally, I do not find that comforting. At least the topic is increasingly a political talking point, with even Donald “Me, Change a Diaper?” Trump feeling obliged to offer a plan, even if it’s laughably insufficient, which offers some glimmers of hope that somebody might do something about this problem in the next twenty years. Not that that helps parents trying to figure out what to do right now, in the next few months.